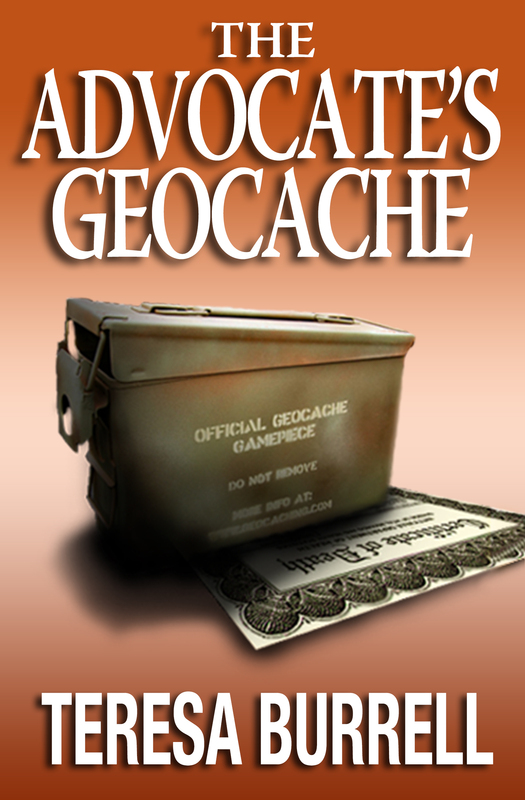 The Advocate’s Geocache has been set for release on June 2, 2015. We don’t have an exact pre-order date yet, but it looks like it will be approximately three weeks before the release. As soon as we have the date, we will let you know. On another note, several readers have been asking to be a part of a “Street Team” for The Advocate Series. When I was first approached, I didn’t even know what a “Street Team” was. After some research on the subject, I was thirlled that anyone wanted to do that for me (or for Sabre, JP, and Bob). In a nutshell, it’s a group of readers who will be promoting my series both on social media and on the street (hence the name). I know many of you do this already, but now you will have access to some cool tools to help you. Some readers have since taken the liberty of putting the structure in place for us. They asked me to put the word out to see who may be interested in joining them. Linda Athridge-Langille, Robin Thomas, and a couple of others approached me to let them set something up. Dawn Sullivan formed the group and created a Facebook page to be used as the central point for getting the word out. Thank you Dawn, Linda, Robin, and others who have already been doing this on your own. You can go to the Facebook page at Author Teresa Burrell’s Street Team, click on “Files” and read the Welcome Letter/Mission and Member Rules. If you are interested in being a part of the Street Team, please let us know. You can do that by going to Author Teresa Burrell’s Street Team page and clicking on “joined.” We will then accept your request. If you are among the first to join, you will be able to help pick the name of the team. I want to thank everyone in advance who is interested in becoming a part of the “Street Team.” I want the rest of you to know that I appreciate your interest in my books and all the support you have given me already. We all have busy lives and I understand if you have too much on your plate to add one more thing, or if this just isn’t your cup of tea. 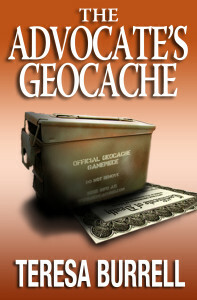 Besides, if your time is limited, I want you to spend what free time you have reading my next book, The Advocate’s Geocache. The Launch Party will be on Facebook once again. Save the date: June 2, 2015. We will let you know when we have more information as to time, etc. The Advocate’s Geocache Cover Reveal! 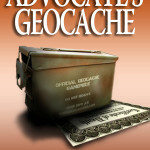 The Advocate’s Geocache is the seventh book in The Advocate Series. My new bookcover designer, Zachary Settle, provided me with two different covers in three different colors. I submitted them to my readers to help choose the cover. Unlike past years when I have done this, the readers came up with a combined cover from what was submitted. I had to agree with them. Great suggestions. Thank you all for your wonderful input. Your input is invaluable to me. Also, watch for notices about the release date and the date you can start Pre-ordering on Kindle. 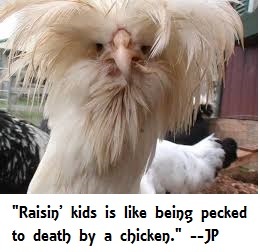 Here is the latest JPism submitted by Robin Thomas. I’ve finished the first draft of book #7 in The Advocate Series. 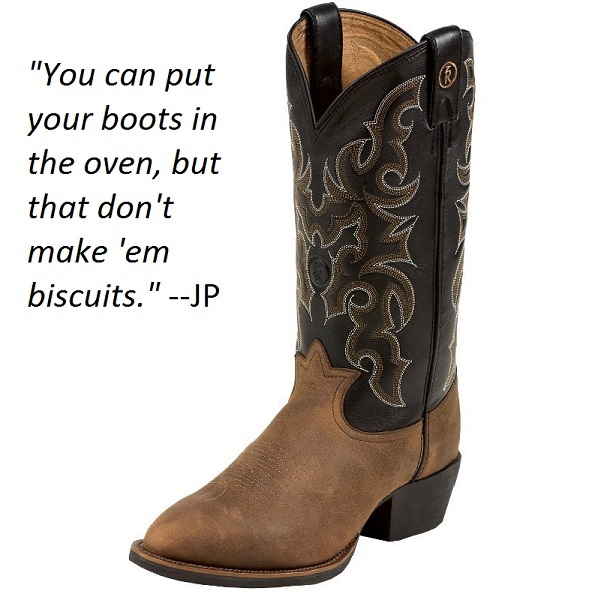 Here’s the latest quote from JP. 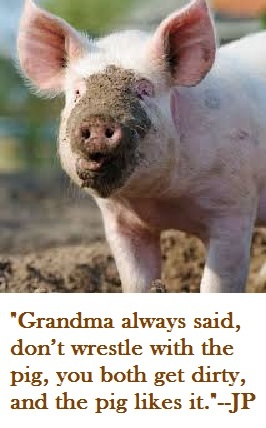 Thank you Sally Banks for submitting the quote so we could create the picture. 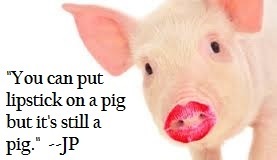 All you readers are welcome to submit a JPism from any of my books and we will create the picture with the quote. We’ll keep doing it as long as the requests come in. Back to work on the seventh installment of The Advocate Series. 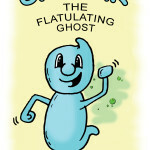 A Children’s Book is Nothing Without a Great Illustrator! 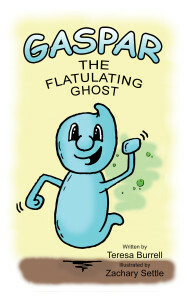 I took a little break from my legal suspense mysteries to write a children’s book. Okay, I didn’t actually take a break. It was written while I was working on my last book. 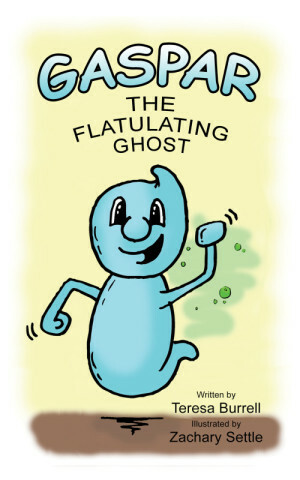 When I needed a break from the killing and chasing and all that makes up that fictional world…I would write a couple of pages about Gaspar, the Flatulating Ghost. It was really fun to do. This process was so different from what I usually write and once you finish a children’s book, you have to get someone to do the illustrations. Unless, of course, you are talented enough to do them yourself, which I am not. But I found the best illustrator ever! His name is Zachary Settle. You can see some of his artwork on Facebook. 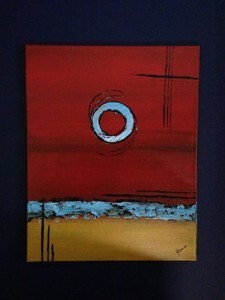 He is an incredible artist eve though this venture is quite different from what he usually does. He tackled it with a great attitude and a lot of perseverance. He was such a delight to work with. Zack is a growing talent. Check out his artwork on Facebook. His prints are still reasonably priced, but someday they may be worth a fortune. He has already made incredible progress in the artistic world. He started as a street artist and has since turned professional. I look forward to working with him again. We don’t have an exact release date yet, but I will post it as soon as we do. Please keep them coming. Just tell us your favorite line by JP and we’ll create the image. Respond here, private message on Facebook, or email me at teresa@teresaburrell.com. Anyone else have a favorite they would like to see in an image? If so, you can leave a note here or send me a private message on Facebook. 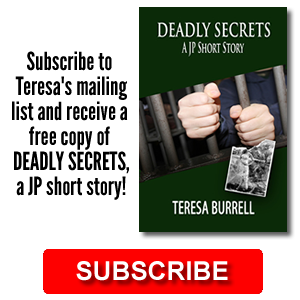 Email works too: teresa@teresaburrell.com. October is the month set aside to build domestic violence awareness and to remember those who have been victims of this horrible ctrime. How many of you are aware that October was set aside for this? It has been in effect since 1987. That’s 27 years and I would bet at least fifty percent of you weren’t aware. I didn’t know either until about fifteen years ago, and I expect that was because of my work. It’s one of those social issues, similar to child abuse, that we just don’t want to hear about. 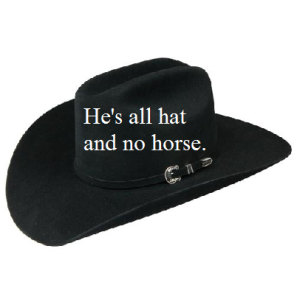 But it does exist and is going strong. 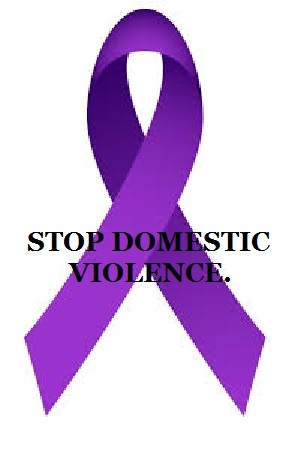 According to the National Coalition Against Domestic Violence approximately 1.3 million women are victims of domestic assault every year. One in every 4 women will experience abuse in their lifetime. I speak mostly of women because 85% of the domestic abuse is on women. On top of that, it’s generational. Children who witness abuse between their parents are more likely to be abusers, or victims of abuse as adults. And where there is abuse on partners, there is greater chance of abuse on the children as well. What can we do about it? Start by being aware, and by reporting abuse when you see it. Most fatalities from this crime are not the perpetrators first act. It escalates over time. The first Monday of October is set aside as the Day of Unity for victims of abuse and awareness promotion. If you want to participate in this campaign please LIKE this post and SHARE. 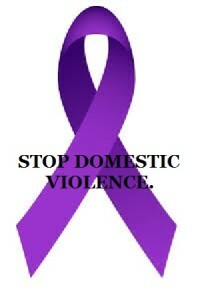 The purple ribbon is the symbol–pass it on. If you look at the bottom of this screenshot it says, Kindle Unlimited All-Star, and it’s on every one of my book pages. Or better yet, go to one of my Amazon book pages and see it. I feel like a third-grader receiving a star from the teacher. I have to say, though, that it is a bit of a motivator. JP has become a favorite character in The Advocate Series. Every woman wants him, every man wants to be him. Well, maybe not everyone, but he certainly is popular. For the next few weeks I’m going to post some of the readers’ favorites. Please let me know if you would like to see any particular one. What is your favorite JPism? Please join me on Facebook at www.facebook.com/theadvocateseries.